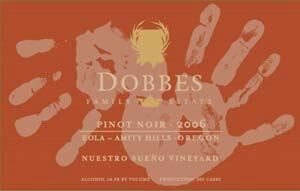 Joe Dobbes has been a prominent winemaker in Oregon since 1989, and picked up the nickname, "Hollywood Joe," because of his good looks. Dobbes apprenticed at Wiengut Erbhof Tesch, in the German Nahe region and at Domaine G. Roumier and Domaine Comtes Lafon. He began in Oregon as an assistant at Elk Cove Vineyards, then became the head winemaker at Eola Hills Wine Cellars, Hinman Vineyards/Silvan Ridge, and Willamette Valley Vineyards. Dobbes founded his own winery, Dobbes Family Estate, and launched the Jovino and Wine by Joe brands in 2003. The company is Oregon's third largest wine producer, operating out of a 52,000-square-foot winery in Dundee. He owns a 214-acre vineyard and buys grapes from about 30 other vineyards. His many contacts and relationships in Oregon allow him obtain high quality grape sources extending from the North Willamette Valley north to the Rogue Valley. The Wine by Joe label and restaurant directed Jovino label are value play Pinot Noirs ($19 and $22 respectively in 2006). Wine by Joe was one of the first screw top ventures in Oregon and includes several varietals including the popular Joe's Secco. Total production of Wine by Joe in the 2011 vintage was about 32,000 cases. Total winery production was about 180,000 cases. 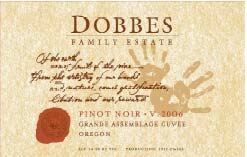 In 2010, Dobbes produced Oregon's first commercial Grenache Blanc, which replaced the discontinued Pinot Gris under the Dobbes Family Estate label. 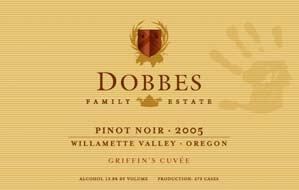 Eight different Pinot Noirs are produced under the Dobbes Family label ranging in price from $28 to $100. 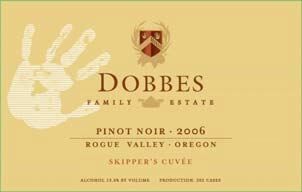 Dundee Vintners, Dobbes' custom crush business, keeps his large staff busy. He crafts wine for many wineries including AlexEli Vineyard & Winery, Barron-Wahl Vineyards, Cliff Creek Cellars, Elstrom Estate, Paschal Winery, Fox Farm Vineyards, Quailhurst Wines, South Stage Cellars, Trinity Vineyards, Vitae Springs Vineyard and Youngberg Hill Vineyard & Inn. In 2015, Travis Proctor was appointed production winemaker at Dobbes Family Estate Winery/Wine by Joe, and Andy McVay was promoted to associate winemaker for Dundee Vintners, the custom winemaking arm of the company. 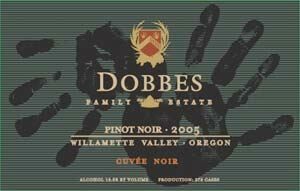 The winery's tasting room is open daily, 11-6, in Dundee at 240 SE 5th St. Dobbes offers a full line of cuvee and single-vineyard Pinot Noirs from $38-$65 which have been reviewed very favorably in the wine press. 503-538-1141.